With all the latest fashions for your island lifestyle, Boutique Aloha effortlessly outfits you for a perfect day in paradise. An extensive selection of coverups and breezy dresses take you to the beach and beyond - featuring the latest from Ocean Drive, Surf Gypsy, Vintage Havana, Elan, En Crème and Catwalk. Browse through the fabulous selection of hundreds of swimwuits from the hottest designers like - L Space, Maaji, Seafolly, Roxy, Lucky Brand, Rip Curl and so many more! For your feet, we have all the flip-flop favorites including - Havaianas, Ipanema, Reef and Volcom. 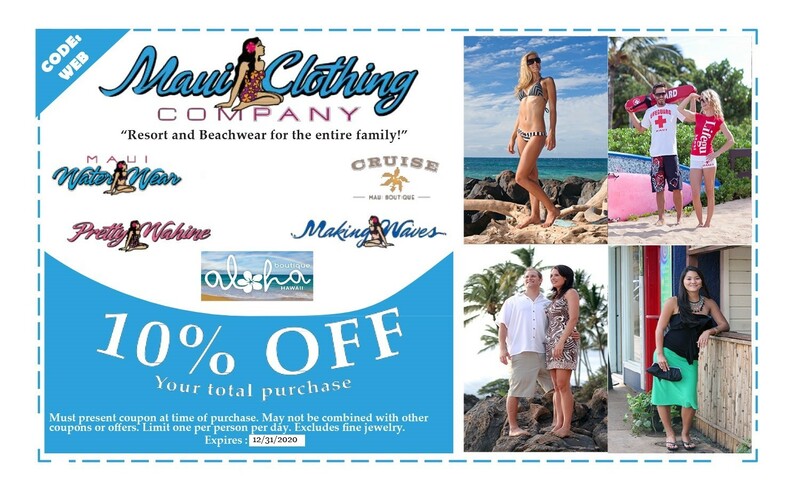 Check out the jewelry, beach bags, hats, suncare products and more!